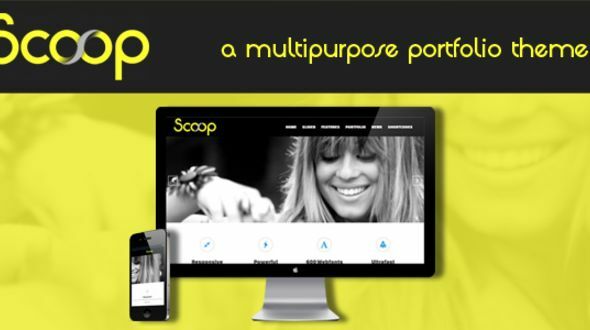 Scoop is a portfolio solution for creative professionals and companies looking for a powerful and professional look. Scoop is responsive and suited for users who want to showcase their work on a neat portfolio site. The definitive portfolio solution for creative professionals available now. Customizing the site is very easy via the theme options panel, you can customize most of the colors and fonts used in the theme. Easily change the background image, color or the favicon within a few clicks – it allows you to unleash your creativity. Each part of the theme has been designed to look and work great. Scoop has a very clean UI and design. The theme is specially build for creatives, companies, photopgrapher and webdesigner. You get free support and updates in addition, for all of our themes.